For more information, go to our Children’s Ministry page. Ministry History: Served several years with American Missionary Fellowship on the Western Nevada field as well as 3 years in Portland, Oregon. 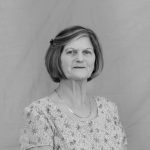 Upon the completion of the term with American Missionary Fellowship, Cheryl and her husband became members of Carson Valley Christian Center (later to be named CenterPoint) where she directed the Elementary Department and BreakOut for 9 years. She has lead the Children’s Department at CenterPoint Christian Fellowship since it’s start. Cheryl attended Multnomah School of the Bible and has served in Children’s Ministry since 1972. Family: Married to a wonderful husband, Jim, and have been blessed with 3 great children, April, Adam and Amy, and 7 grandchildren. Favorite Food: Seafood! Pretty much anything that swims in the ocean. Fun Fact: Cheryl saw Elvis live on opening night in Las Vegas in 1971.